In the 10th century BC, the territory of Morocco was a place where the old country of Carthage was located. In the 2nd century, it was conquered by the Roman Empire. In the subsequent centuries, the lands saw multiple conquests of vandals and then of the Byzantine Empire. The first Arab country was formed in the territory of Morocco in the late 8th century. Later, it became a heart of the large empire. This empire consisted of territories of present Tunis, Algeria and Libya. The first half of the 15th century was characterized by an active Spanish and Portuguese expansion. As a result, a lot of large cities were conquered. Only at the beginning of the 17th century, the Moroccan country entered the development stage. 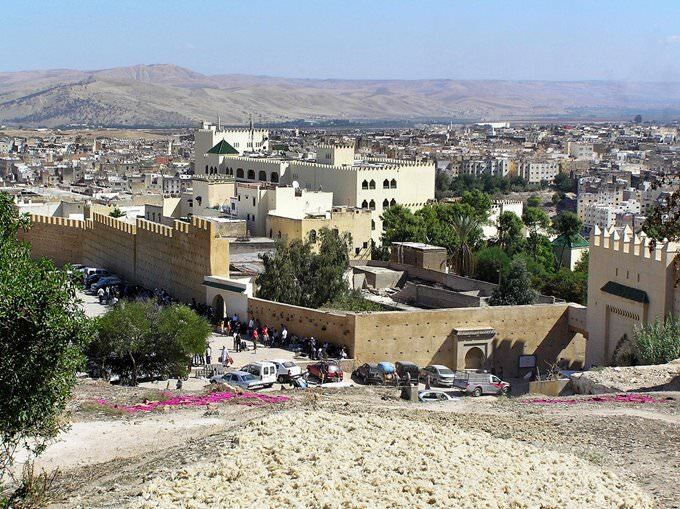 It flourished during the ruling of Ahmad al-Mansur. For several hundred years, the prosperity alternated with the downfall and internal conflicts. The war with Spain in 1859-1860 was a serious challenge for Morocco. At the beginning of the 20th century, the country was conquered by France and gained independence from it only in 1956. The main value of modern Morocco is its inimitable national culture. The country is characterized by a special rhythm of life and many interesting traditions. The inimitable culture is reflected in all aspects of the Moroccans’ life. 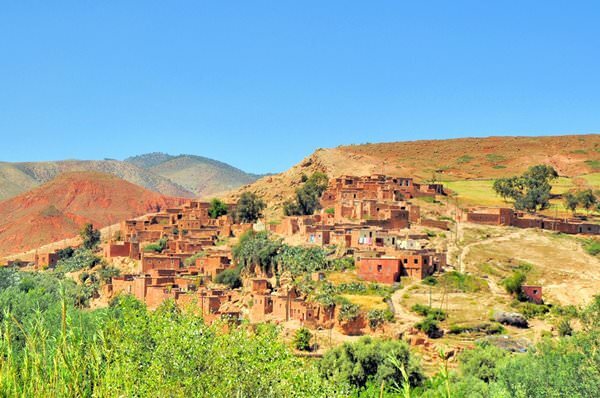 Many people associate Morocco with picturesque noisy markets, during a stroll along which you can sink into an incomparable national atmosphere. Here, you can smell spices and coffee. On the market, you can buy luxurious hand-made carpets and jewels in the Moroccan style. Shopping in Morocco - best shopping places, what to buy? Beach resorts of Morocco, the best of which is Agadit, deserve a special attention. At beach resorts, vacationers can take advantage of services offered by upscale thalassotherapy and spa centers. You can always supplement your usual beach recreation with the care for your health. The resort of Oualidia – the location of the beautiful lagoon – is very popular with vacationers having children. The important component of the national culture is the unique Moroccan cuisine. At national restaurants, the visitors can taste traditional couscous, a lot of lamb and mutton dishes, soups and traditional pastry. The local cuisine is distinguished by the use of spices. Also, exquisite wines are produced in Morocco. This article about iconic landmarks and sights of Morocco is protected by the copyright law. You can re-use the content, but only under the condition of placement of an active link to www.orangesmile.com. In Casablanca you can see the greatest Hassan II Mosque that was built only in 1993. 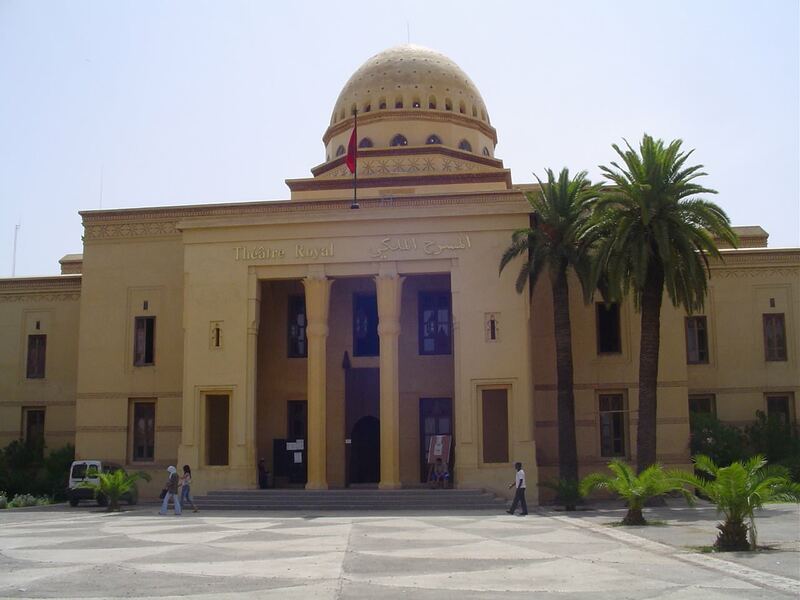 In size, it is in the seventh place in the word and the only one in Morocco. Minaret’s high is 210 metres – that is a world record. Its unusual thing is a laser beam fitted at the top, which is electronically operated in the evening. It is oriented towards Mecca, across the sea. 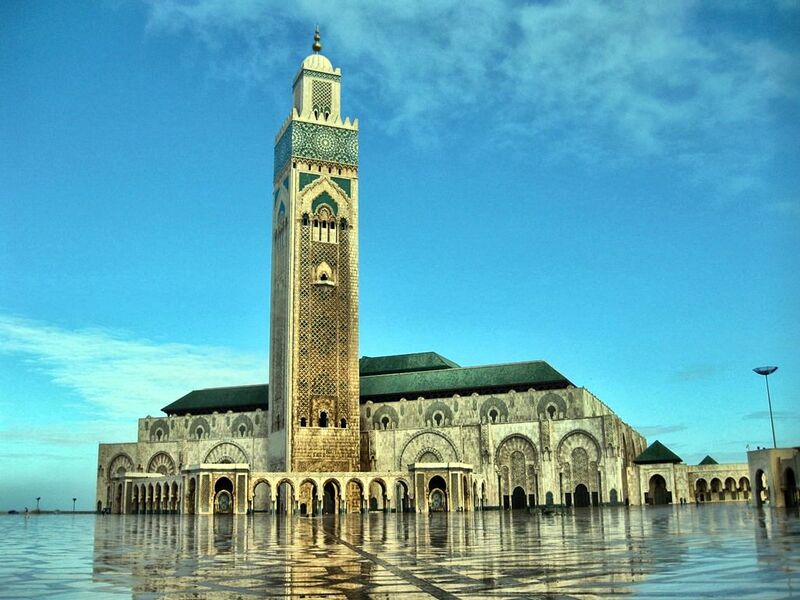 Hassan II Mosque was built right on the seaside on a special brow that borders on the Atlantic Ocean. 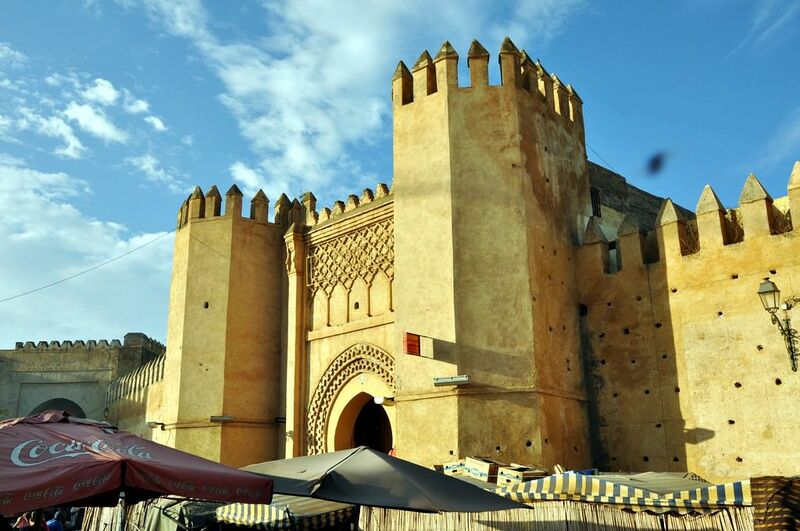 Taroudant city is situated in the southern part of Morocco. The town is known as the "Grandmother of Marrakesh" because it looks like a small Marrakesh. The main peculiarity of the town is the powerful walls, that were saved from the Medieval times. The first town was established there more than a thousand years ago. Taroudant flourished in 16th-17th centuries. As earlier, today the town is the trade center. There you can buy rare Moroccan spices, handicraft products, awesome fabrics, jewelry and even clothes and shoes from locals. The biggest renting area of the mall in Africa is in Casablanca. 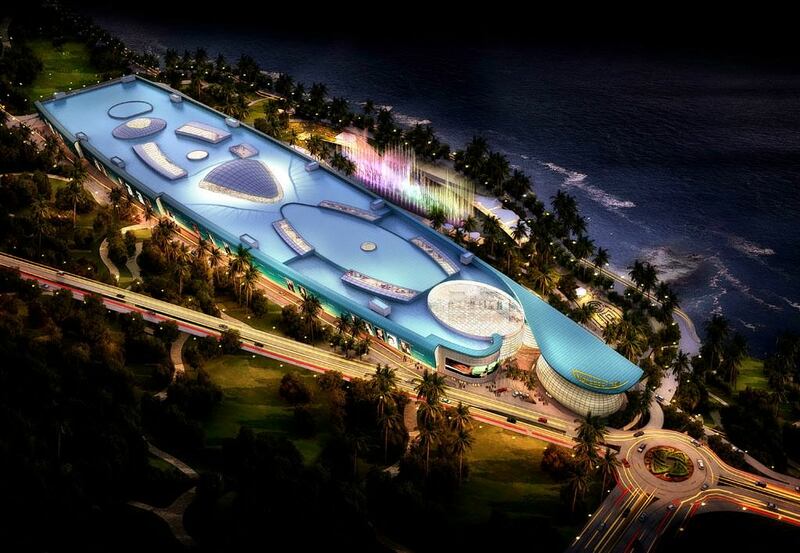 Its' name is "Morocco Mall". The mall is situated in the incredibly beautiful building with an unusual design of the roof. Outside there is a landscaped garden with a number of exotic plants, imitations of waterfalls and fountains. There you can find no more than 350 shops but a lot of tourists come here not only for shopping.